I first met Francesca, one of the women who runs Tema during a Vinitaly tour in New York in 2010. She was very charismatic and interesting and so I took the occasion to see her again and tasted her wines at Vinitaly in Verona where these photos were taken two yers ago. 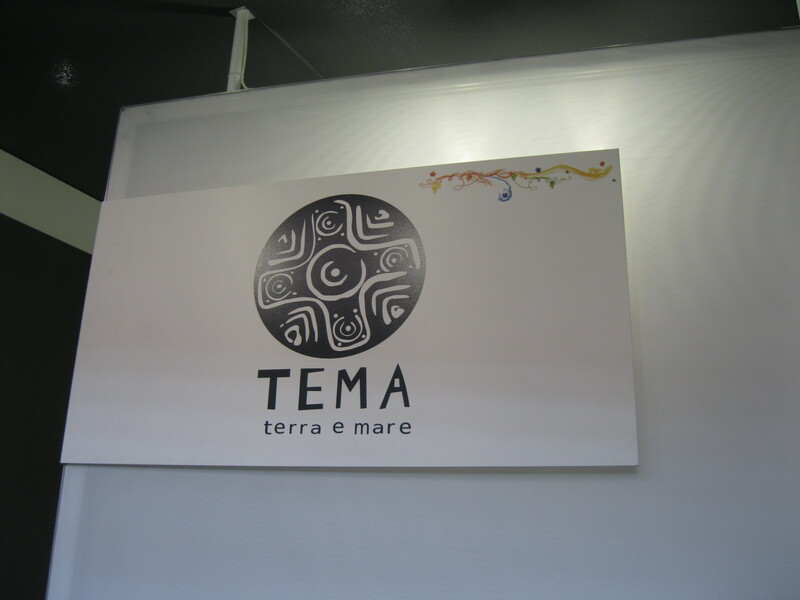 Together with her mother, Silvia, she started Tema in 2006 at an old farm on the coast of Sardinia near the city of Oristano. A river runs through this area called the Salighe. She described the area as having both mountains and sea. Additionally, the winery is close to the Capo Nieddu waterfalls. The farm used to be a stud farm for Anglo-Arab Sardinian horses and was then converted for use in the production of extra virgin olive oil. 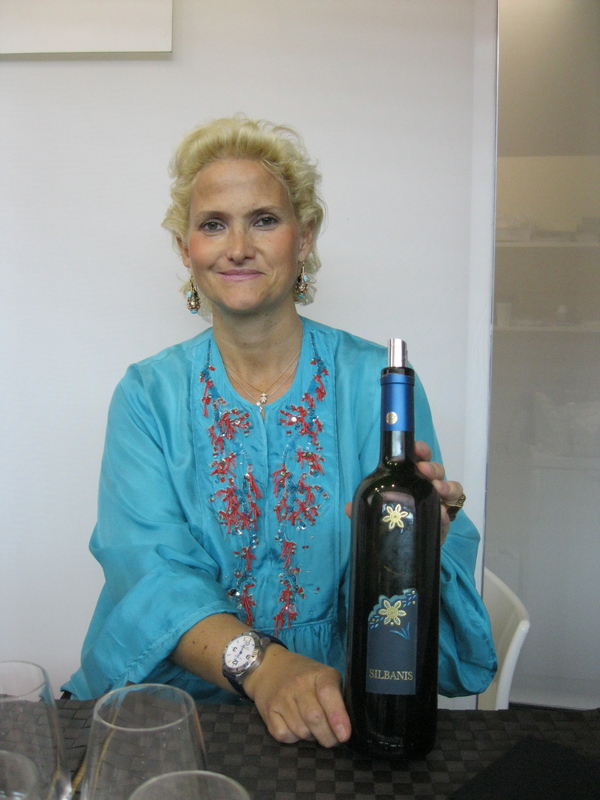 Francesca and her mother though wanted to plant grapes and make wines using Sardinia’s signature varieties: Vermentino and Cannonau. The vineyards have somewhat sandy soils with layers of basalt. They use organic composting as fertilizer and do bunch thinning to control vigor. They also harvest all the grapes by hand. Their Vermentino grapes undergoe soft crushing and pressing and partial malolactic fermentation. The red grapes used for their Cannonau are macerated and are kept at a controlled temperature of 25-28 °C before fermenting and aging. The winery uses consulting oenologist Angelo Angioi. They make two wines, Silbanis and Orassale. Silbanis was a nice expression of Vermentino with fresh flowers and white fruit aromas. It had considerable minerality and sapidity which I always get from wines that are produced near the sea. It is a perfect seafood wine while Orassale is a full-bodied, layered Cannonau with black and red fruit aromas and some earthy undertones, according to my notes. When I first heard of the winery, I had no idea that it was linked to a gorgeous resort, Capo Nieddu. Their property is part of the “Costa di Cuglieri”, a specially protection area designated by the European Union. This region has a long historical tradition and many of the famed nuraghe that dot the Sardinian landscape. The nuraghe are megalithic structures developed during the Nuragic Age between 1900-730 BC. At that time, villages were made of huts of local stone and in the center they would have a large nuraghe. Everything about the resort looked interesting to me and it was clear that much attention is paid to details, just like with the labels of their wines. 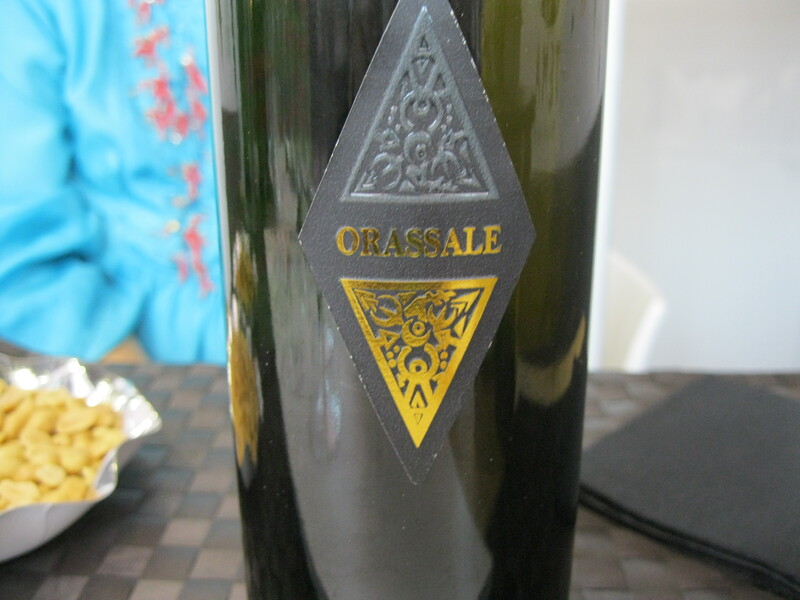 The labels were designed with ancient symbols of Sardinia in mind. I confess I have had a long love affair with Sardinia since I first visited in 1993. I also had a marvelous three week stay there in 2001 sailing around the islands of the Maddalena. I have never visited the area around Oristano but meeting Francesca and tasting the wines certainly makes me want to go back and explore.